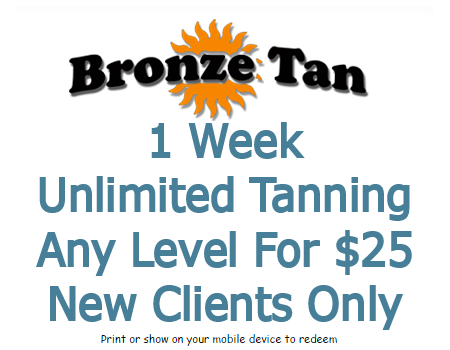 A premier tanning salon in Clayton & Brentwood, Bronze Tan features the best mix of tanning beds in the metro area. 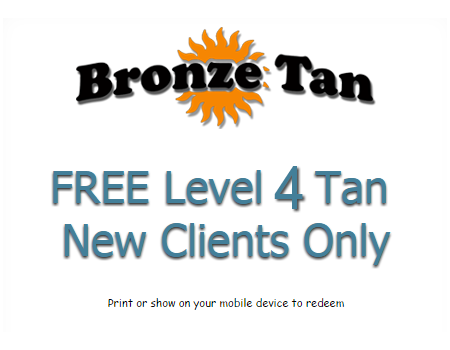 If you are new to our salon, print off a free tan coupon and give us a try. The quality of our beds, the cleanliness of our salons, and the friendliness of our staff will make you a client for life. 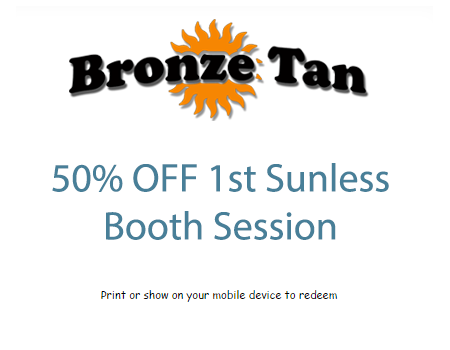 If UV tanning is not for you, we provide a full line of sunless tanning services, including VersaSpa, Mystic Kyss, and Norvell Tanning & Skin Solutions. 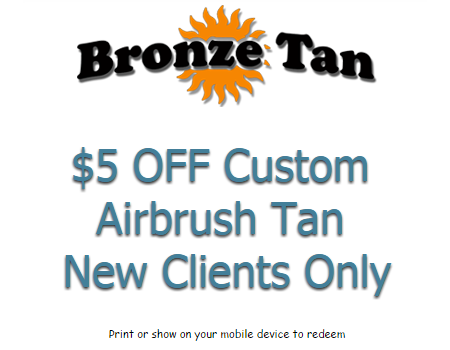 With our airbrush tans, we hand spray and customize each and every tan. To schedule your appointment, call today or book online. 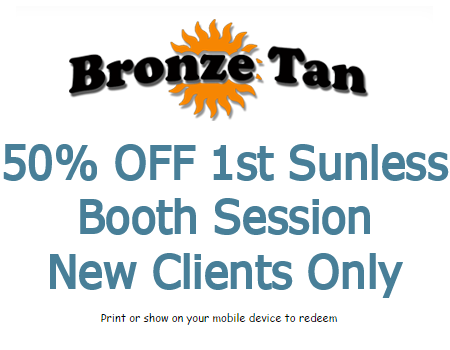 Our Clayton location boasts the Auto Revolution Spray System by Norvell – a state-of-the-art “smart booth” that utilizes ground breaking technology to deliver an automated sunless experience, with the quality of a hand spray. At our Brentwood location you will find the Verspa & the Verspa Pro, booth of which combine the science of skin care with advanced tanning technology to rejuvenate the skin for a beautiful tan. 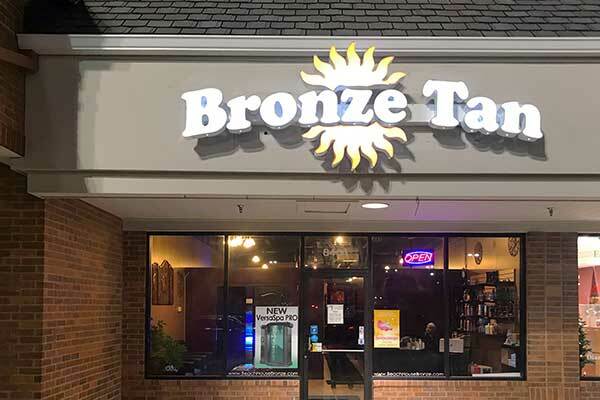 Our tanning beds, ranging from Level 3 to Level 5, offer at least 32 turbo-powered body lamps, adjustable facial tanners, and full body fans, all at prices you’ll love. Visit one of our two locations in Clayton or Brentwood today! At our Brentwood location you will find the VersaSpa & the VersaSpa Pro, booth of which combine the science of skin care with advanced tanning technology to rejuvenate the skin for a beautiful tan. 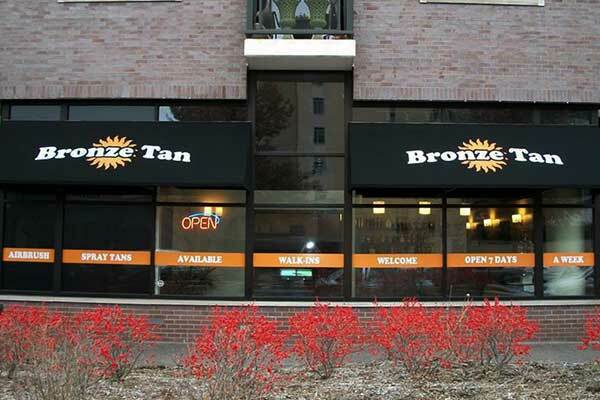 Each of our locations offers unique tanning beds and sunless tanning services. Click on a location to learn more about what each of our locations has to offer.